Bogota, Colombia – Soteria, a global leader in the development, integration and implementation of advanced cyber security, intelligence and IT solutions has engaged Cympire to execute the main Cyber Challenge in a recent cybersecurity conference in Bogota. The conference was organized by the National Police of Colombia and the ESTIC (Escuela de Tecnologías de la Información y las Comunicaciones). The competition was run on SPARTA, Cympire’s cutting-edge cloud based cybersecurity simulator. SPARTA challenges participants with examples of real-world cyber attacks, and requires them to employ malware analysis, forensics, code injection, reverse engineering and a variety of other techniques in order to complete the challenge. 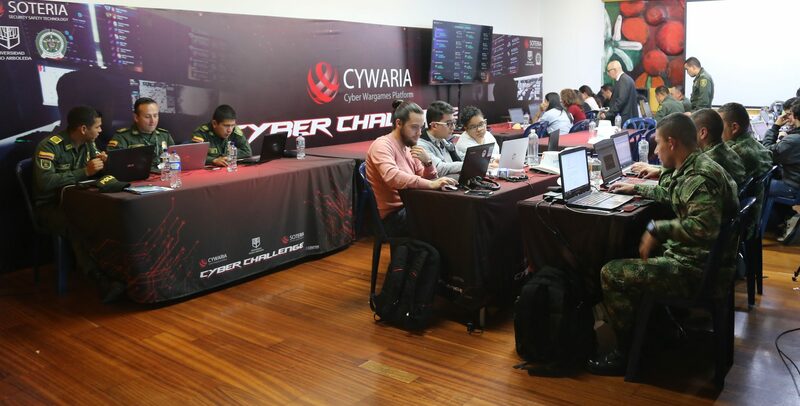 The Cyber Challenge saw 12 of Colombia’s leading cybersecurity teams representing universities, the police, military, etc., competing against each other for 10 hours in an effort to solve the challenge. The responses received from the participants exceeded our expectations. It was widely described as a “unique, realistic experience that has put to test our cyber capabilities in a fun and challenging atmosphere that we have never experienced before”. In the conference Cympire CEO, Col. (res.) Ophir Bear spoke in front of some 700 attendees on the advantages of gamification in education in general, and in cybersecurity education and training specifically. This event marks Cympire’s continued global exposure to the cybersecurity community around the world as we continue to build our brand and network.